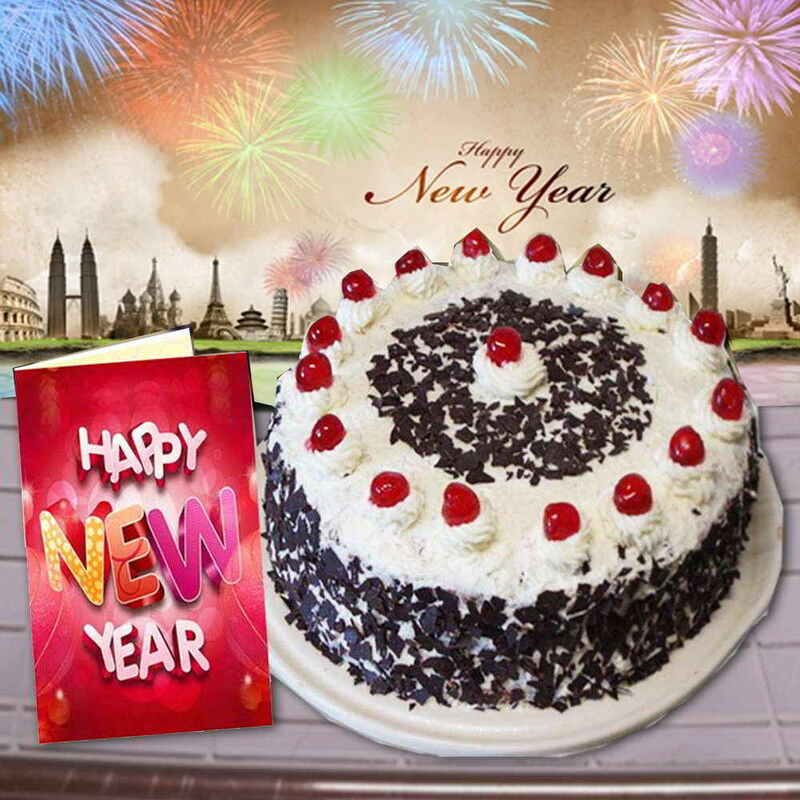 Product Consists : 1/2 Kg Round Shape Black Forest Cake with the Cherry Topping on it along with New Year Greeting Card. 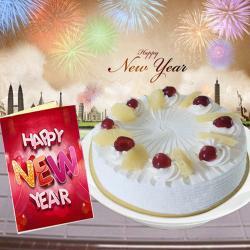 Wish a New Year to anyone with spectacular Black Forest Cake along with New Year Greeting Card. 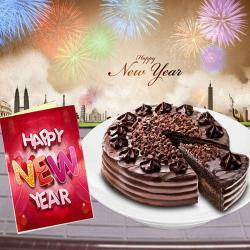 The Black Forest Cake is made in such a way that it wins the race of best Cakes for New Year. It is enhanced with chocolate flakes on top along with cherries decorated on the surface. Apart from cherries and chocolate, whipped cream also covers the Cake thickly. 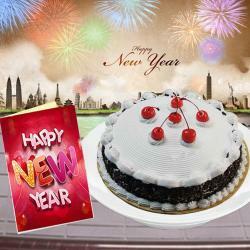 The Happy New Year Card will make you send heartfelt wishes to anyone. 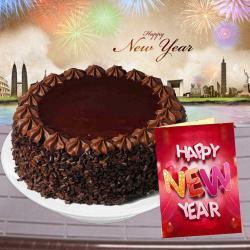 Product Consists : 1/2 Kg Round Shape Black Forest Cake with the Cherry Topping on it along with New Year Greeting Card.